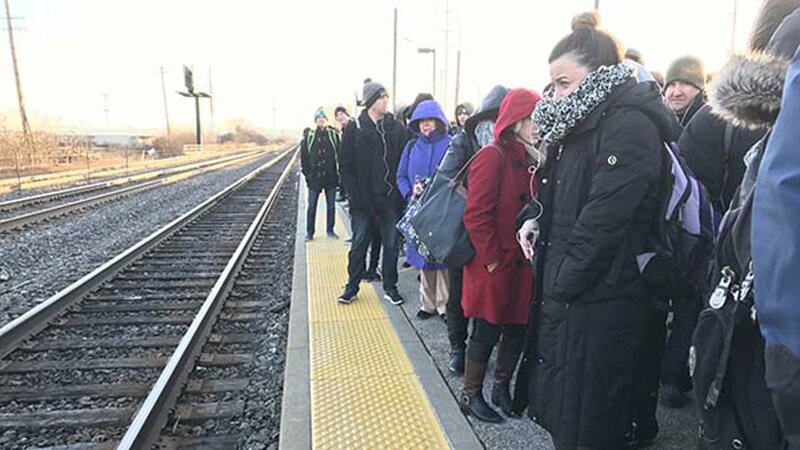 AURORA, Ill. (WLS) -- It was a freezing and frustrating morning for commuters on Metra's BNSF train line after the agency cancelled two express trains Thursday. Thousands of people were forced to wait on platforms, standing in the cold - in some cases, for 30-45 minutes - at the Rt. 59 station in southwest suburban Aurora and at the Naperville station. They were waiting for trains that were first delayed, then cancelled all together. Temperatures were in the teens Thursday morning, with wind chills in the single digits. The problems come as the agency is set to raise fares next year. The BNSF line is Metra's busiest line, serving 27,000 commuters daily. 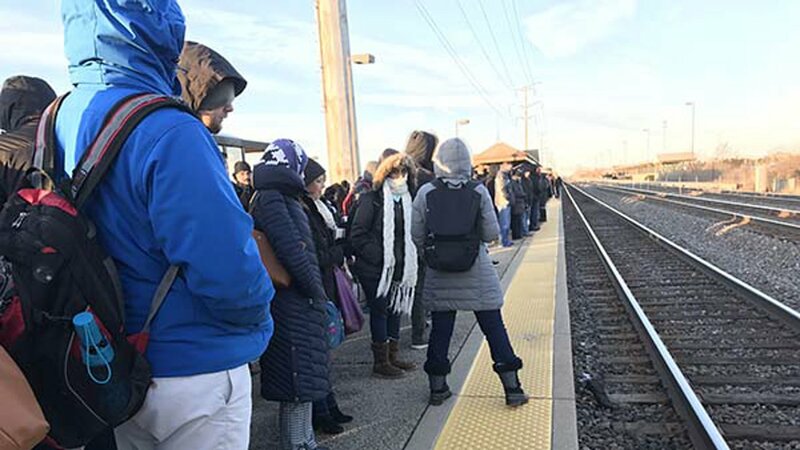 The trains, which were due to depart from Aurora at 7:07 and 7:22 a.m., were cancelled due to mechanical failures, according to audio alerts broadcast at the stations Metra tweets. 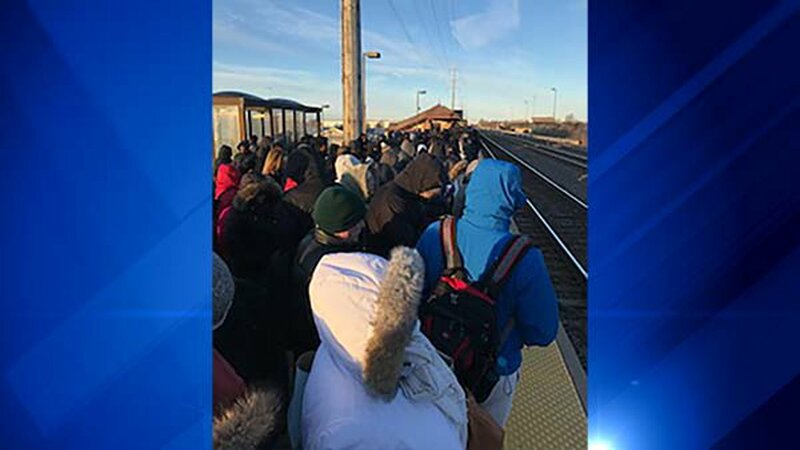 A Metra spokesperson said the two trains each had at least one car fail federally required inspections Thursday morning. One of those failures was due to the brakes. In order to help alleviate the problem, the agency ran subsequent express trains from Aurora to Naperville. The spokesperson said at most, riders waited 30-45 minutes. When passengers actually made it onto other trains, conductors on at least one train did not check tickets.